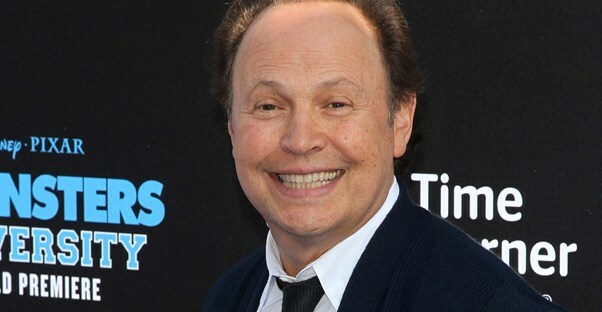 Actor, singer, comedian, writer, film producer, director, and television host: Billy Crystal. Phhew. His birthday is coming up on March 14th, and he’s given us more laughs than we could possibly count. From hosting the Oscars to playing everyone’s favorite little green monster, Mike Wazowski, Crystal is definitely one of America’s biggest comedy icons. Pretty much every time Crystal has hosted the Oscars, we’ve been rolling on the floor. The 2000 Oscars was one of the greats, though. Anyone remember “What the Stars Are Thinking About?” Arnold Schwarzenegger really just wants a party at Planet Hollywood! Both Billy Crystal and the late Robin Williams both made an appearance in the episode, “The One With The Ultimate Fighting Champion.” Billy, probably not the best time or place to tell your friend that you’ve been having an affair with his wife! How could we leave out "The Tonight Show"? Some of the funniest moments in all of television history come from this show, and Billy Crystal’s visits are no exception. We especially love this rendition of “Who’s On First?” with not only Crystal, but Jimmy Fallon and Jerry Seinfeld as well. “So like Big Bird, and like these two kids, like, walk right through the U!” We have to admit that we’re almost just as baffled by the giant ‘U’ as Crystal was. As much as we love adorable little Boo, you’ve gotta admit Mike Wazowski is just as cute (if not cuter). Mike doesn’t have the same level of sympathy for poor Boo as Sulley does, so he’s willing to send her back, no matter where that is!